Enjoy breathtaking panoramic lake & mtn views from this 3554 sqft home on 175' of direct waterfront. 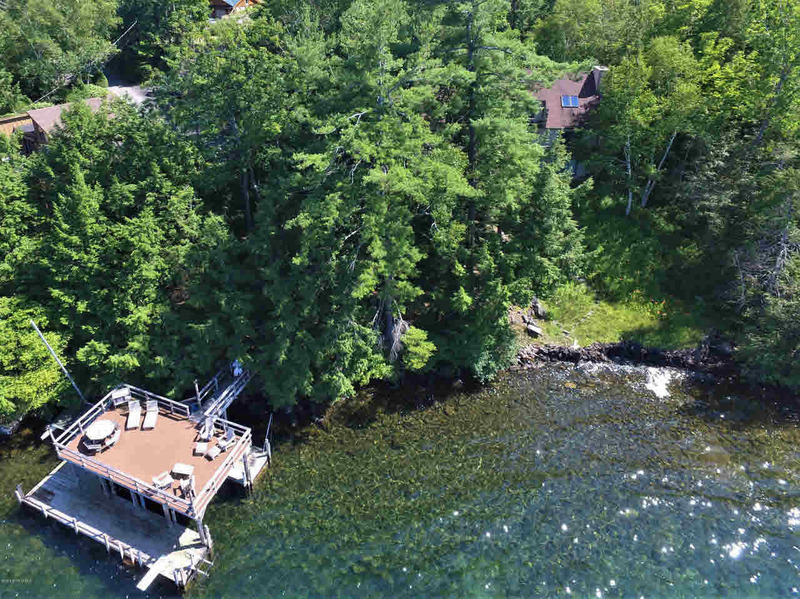 This property is in a park like setting at the southeast end of Lake George. The 4BR, 4BA home features lake views from every level. The main floor has an open concept kit, din, & living rm w/ a wood burning FP and 2 sets of glass sliders leading to the lakeside deck. There are 2BR & 2 full BAs incl a sauna on the main floor. The 2nd story incl a master suite w/ private balcony & loft/office area. The lower level features a stone FP in the family/game rm, bar, & sliders to the lakeside lawn.Bottom floor also has a BR, full BA, & laundry/workshop room. There is an attached 2-car garage w/ 2nd story. An incredible value ready for the new owner's personal touch to make it their dream home!